Lively prints combine with a waterproof nylon shell fabric and tons of toasty insulation to warm up the coldest winter days. Columbia's cozy winter Horizon Ride Jacket for girls features a taffeta-lined hood that's soft against the skin, a high collar, and angled cuffs designed to protect the wrist and top of hand. Lively prints combine with a waterproof nylon shell fabric and tons of toasty insulation to warm up the coldest winter days. 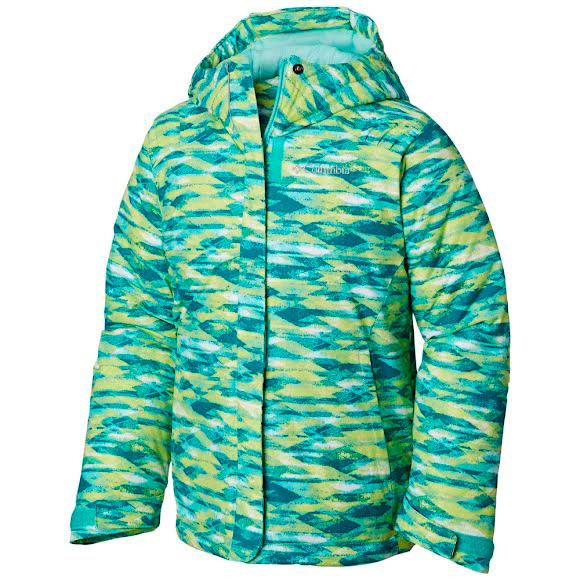 Columbia&apos;s cozy winter Horizon Ride Jacket for girls features a taffeta-lined hood that&apos;s soft against the skin, a high collar, and angled cuffs designed to protect the wrist and top of hand.